Ho ho ho! 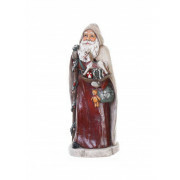 A vintage style Santa ornament. Dressed in traditional deep red, with a cape, his arms are full of gifts, ready to be dropped off to a lucky girl or boy. 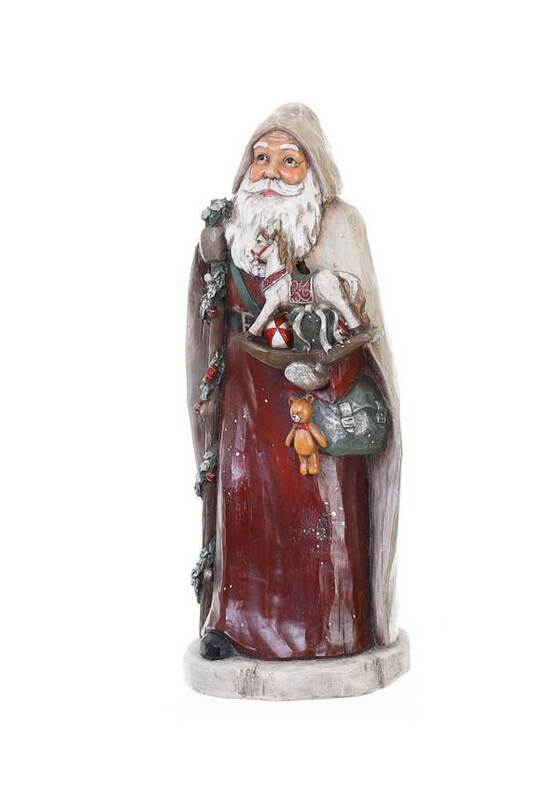 A lovely ornament, place him in the front porch, or beside the fireplace. 16” tall.